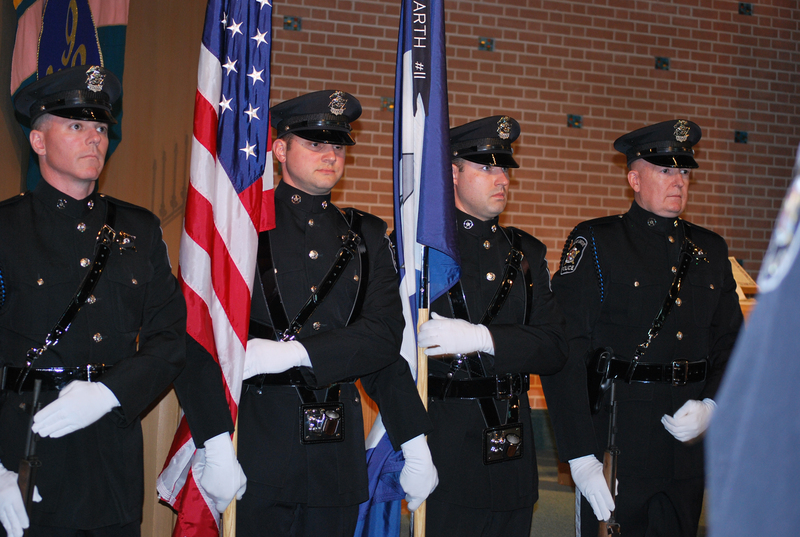 The Downers Grove Police Department holds this annual memorial service during National Law Enforcement Week to remember fallen officers, including the only Downers Grove officer to die in the line of duty, Officer Richard J. Barth. On March 18, 1974, Officer Barth had responded to a call of two suspicious youths carrying a paper bag into what is now known as Hooper's Hollow Park. As Officer Barth approached the youths, he was not aware that they had just committed a residential burglary in the area and were viewing the proceeds. When Officer Barth requested identification, one of the youths, Paul Fontani, fatally shot him. Paul Fontani pled guilty to murder and received a 50-100 year prison term. In a cooperative effort between the Downers Grove Fraternal Order of Police Lodge #73, the Village of Downers Grove, and the Downers Grove Park District, the Richard J. Barth Memorial was dedicated at Barth Pond (Patriot's Park) on May 20, 1998 to honor our only fallen officer in Downers Grove. This memorial serves as a constant reminder that violence is everywhere and even the quiet community of Downers Grove is not immune.